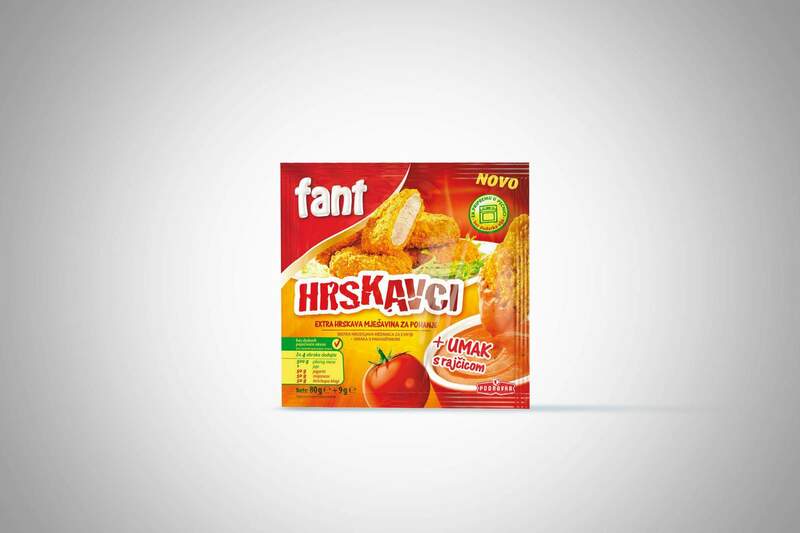 Creating a design concept and coming up with names for a new sub-segment of products with the working title “Fant nuggets”. We were faced with the challenge of presenting new products that embody innovation to a market already saturated with similar products. 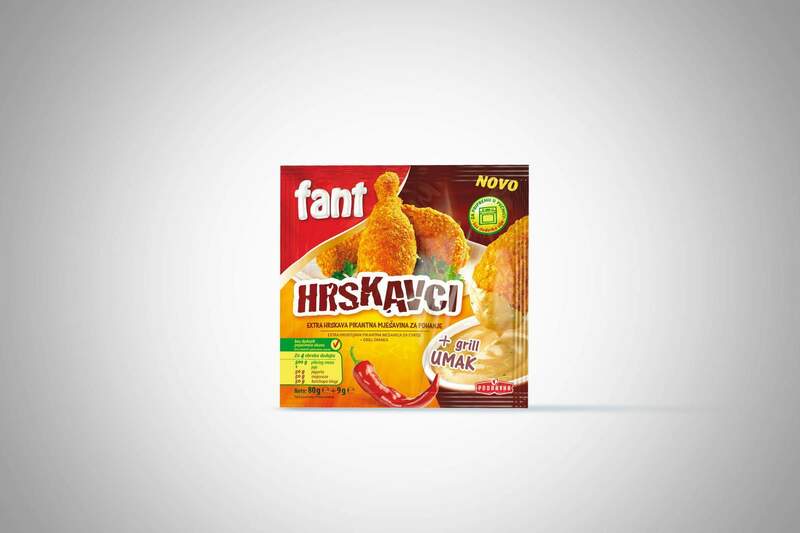 So we have branded the product with the name Hrskavci (Crunchies) to obtain a unique advantage over the competition and to accentuate the innovation – the irresistible crunchiness of the breaded meat nugget. This immediately set the product apart from similar products that could threaten its position. 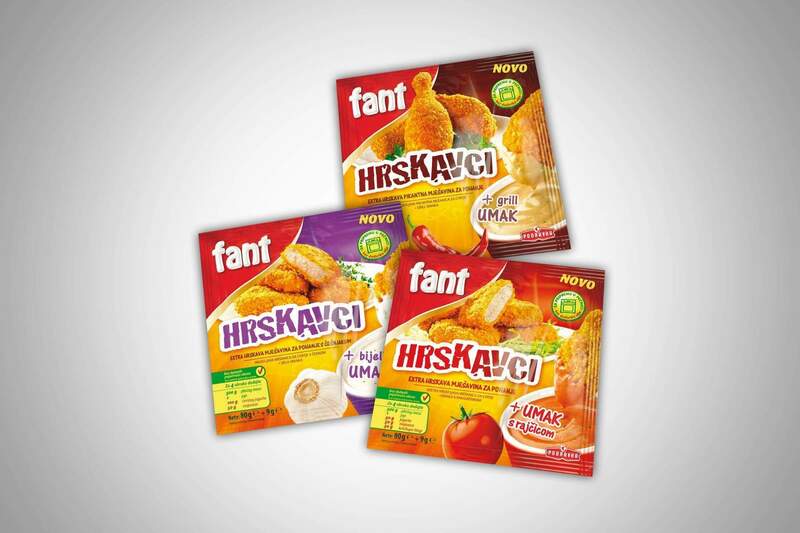 The packaging is quite functional because it was important that it reflect the simple preparation of the delicious dish, and it follows the existing Fant line of products. The image of the product itself was put on the packaging to capture and accentuate the crunchy quality of the dish.